Just another blog? Not hardly! The SEMClubHouse is the “playground” for a group of SEM experts who love to share their thoughts and ideas on subjects related to search and social marketing. Our contributors have years of experience in the online marketing trenches. Christine Churchill, the President of KeyRelevance, is a pioneer in the “search business.” She was a member of the founding Board of Directors of the Search Engine Marketing Professionals Organization (SEMPO), the industry’s main professional association. 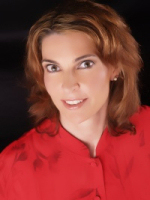 Christine is currently the Chairman of the Board for the Dallas /Ft Worth Search Engine Marketing Association. Christine holds a Masters Degree in Business and has over 10 years of online marketing experience. Ms Churchill is a frequent speaker at Search Engine Strategies, WebMaster World, and other Internet conferences. Prior to founding KeyRelevance, Ms Churchill was the Director of Web Development at NetMechanic. In this role she was the subject matter expert for NetMechanic’s Search Engine Power Pack and HTML Toolbox, the best-selling toolkits used by many search engine optimizers. As the Search Engine Optimizer for the NetMechanic site, Ms Churchill consistently doubled search engine traffic to the site every 6-9 months. 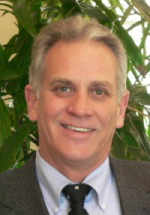 Jim Gilbert is the Vice President of KeyRelevance. He is a Google Certified PPC Professional. His background in mathematics and statistics make him an excellent choice for conversion analysis reporting so vital in running a profitable pay per click campaign. Jim has performed search engine optimization since the inception of public access Internet (the World Wide Web) in the early 90s. Before his involvement with the Internet, Jim spent twelve years providing analysis support in statistics, simulation and numerical analysis for several large companies including Sabre and EDS. Jim has been involved in many analytical research studies of search and pay-per-click engines, privately authored numerous articles and published studies. Jim is also the co-founder of the Dallas / Ft Worth Search Engine Marketing Association (DFWSEM), the DFW group of North Texas search professionals educating local business communities about Search Engine Marketing and Internet advertising. Mike Churchill is the Chief Technical Officer at KeyRelevance. He has over 20 years experience programming in a variety of languages, platforms, and environments. Mike was one of the founders of NetMechanic and served as the Chief Technical Officer from founding until acquisition. He has an extensive background in writing commercial software that spider and index web pages, and is intimately familiar with the issues search engine spiders face in crawling web sites. While with NetMechanic, Mike led the development of their search engine marketing offering: Search Engine Power Pack. He researched and developed search engine submission tools, automated site rank tracking tools, web site spider algorithms, and web site health analysis tools. At KeyRelevance, Mike’s main focus area is web analytics, conversion tracking and enhancement. Mike is an unusual blend of technical know-how and marketing savvy. Mike is the programming genius behind many of the proprietary tools we use in-house and custom software or scripts we create for clients.